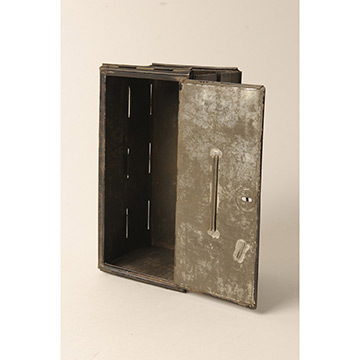 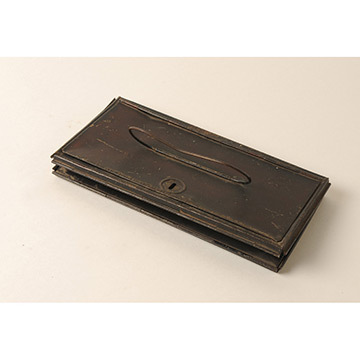 This ingenious sheet-metal box collapses by folding its short side flaps inward and pushing in the hinged long sides. Similar folding boxes, now often plastic crates, are used today. 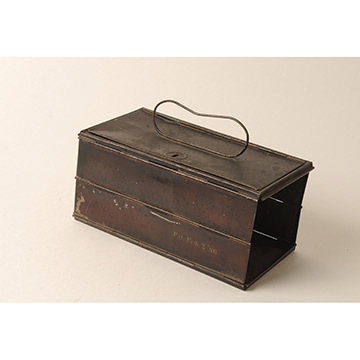 This lunch box folded into a compact, flat form that could fit into a schoolboy's back pocket—for protection when a poor report card might result in a father's spanking.